We manufacture Tube Fittings according to the requirements of the clients. 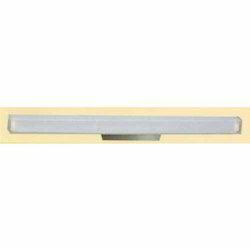 We exclusively supply a range of indoor light fittings that has a wide demand in the markets. 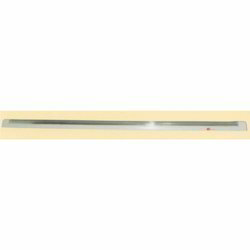 These are highly popular for their quality in durability, accurate functioning and energy saving features. These tube lights are available in different sizes, designs and power capacities to befit the demands of our clients. These are also manufactured in tune with international quality standards, these lights can also be availed in customized forms. We manufacture Polyester Patti product with high quality materials. 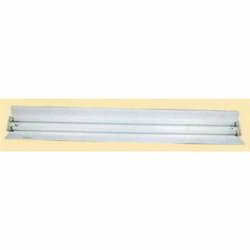 These are resistant and drip proof engine room light fitting suitable for 1x20w, 1x40w, fluorescent tubes with Fiber Glass Housing and cover made from clear pure acrylic complete with control gear and pre-wired up to mains connector with heavy duty polyester filled copper wound ballast with ISI marked starter and Capacitor for power factor improvement. These are available in quality standards and customized forms. We manufacture Electronic Patti product with high quality materials. These are available in quality standards and customized forms. These are supplied with electronic Patti .These are resistant and drip proof engine room light fitting suitable for 1x40w, fluorescent tubes with Fiber Glass Housing and cover made from clear pure acrylic complete with control gear and pre-wired up to mains connector with heavy duty filled copper wound ballast with ISI marked starter and Capacitor for power factor improvement. We manufacture Electronic Micro product according to the requirements of the clients. 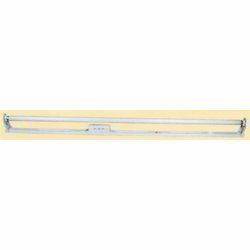 These are These are resistant and drip proof engine room light fitting suitable for 1x20w, 1x40w, fluorescent tubes with Fiber Glass Housing and cover made from clear pure acrylic complete with control gear and pre-wired up to mains connector with heavy duty filled copper wound ballast with ISI marked starter and Capacitor for power factor improvement. These are available in quality standards and customized forms. We manufacture Prince Mirolta product with high quality materials. These are supplied by to come over the darkness of light. These are resistant and drip proof engine room light fitting suitable for 1x20w, 1x40w, fluorescent tubes with Fiber Glass Housing and cover made from clear pure acrylic complete with control gear and pre-wired up to mains connector with heavy duty filled copper wound ballast with ISI marked starter and Capacitor for power factor improvement. These are available in quality standards and customized forms. We manufacture this product with superior quality materials. 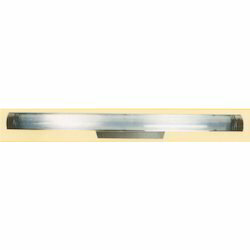 These are resistant and drip proof engine room light fitting suitable for 40w A light & 28W A light, fluorescent tubes with Fiber Glass Housing and cover made from clear pure acrylic complete with control gear and pre-wired up to mains connector with heavy duty filled copper wound ballast with ISI marked starter and Capacitor for power factor improvement. These are available in quality standards and customized forms. 2X36W Opp Salute Lining Cover. 2X36W Opp Sq. Top Ice Cover. 1X40W & 2X36 Opp. Mirolta SS. 2X36W Opp Top Milky Cover. Looking for Domestic & Commercial Tube Fittings ?